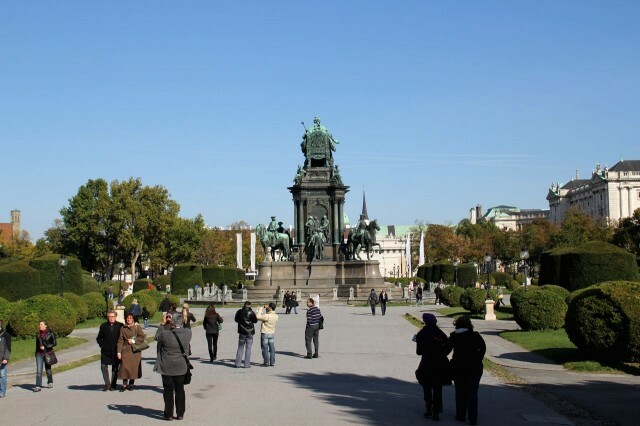 Maria Tereziya Square (Maria-Theresien-Platz) is considered the centre of Vienna museum. the 1st, on what you pay attention, entering here – two excellent twin buildings. 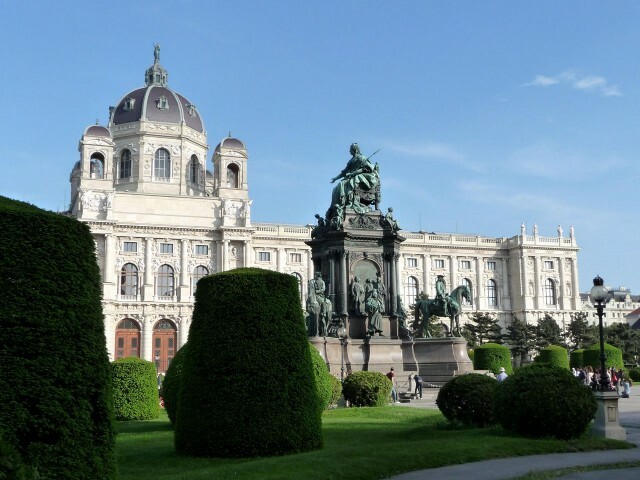 In 2 palaces two Vienna museums – Natural sciences (Naturhistorisches Museum) and the Stories of arts (Kunsthistorisches Museum) are located. Smart Renaissance palaces, «identical from a face» are truly similar, as though specular reflexions. Find, as they say, 10 distinctions! I have found them in the sculptural registration of facades respective the maintenance of each of museums. The construction ensemble of the area was projected by Gottfried Zemper. The work it called Kaiserforum. The project was tremendous and included not only only the area. But because of the I World war it was carried out only partly. A complex Maria Tereziyen-platts have managed to end by 1889. Interiors of both museums were developed by Charles von Hazenauer. 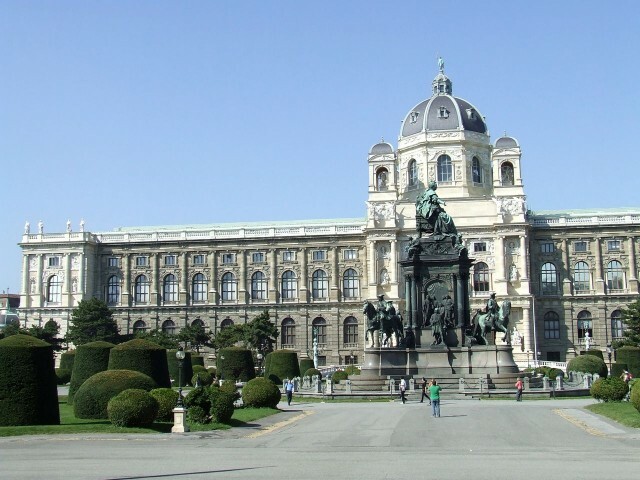 Meeting of a natural-historical museum of Vienna is very much appreciated in the scientific world. 20 million exhibits – impressing number! The beginning to this meeting was necessary to Gabsburgami in the XVIII century. Franz I Stephane has got the first natural-science collection including more than 30 000 exhibits. The most recognizable artefact of this meeting – Venus Villendorfsky. The old figurine belongs (terribly to think!) approximately by 22-24 to the millennia BC. Topaz giant is stored in a museum collection of the most rare minerals – the semiprecious stone is powerful more than a centner. In the middle of zoological exhibits the most impressing copy – a skeleton of a huge dinosaur Diplodocus. The art gallery became a basis of a collection of the museum of History of arts. In it we contemplate cloths of eminent painters of various times. Rubens, Rembrandt, Titian, van Deyk, Bosch, Tintoretto, Veronese, Caravaggio – stately names! 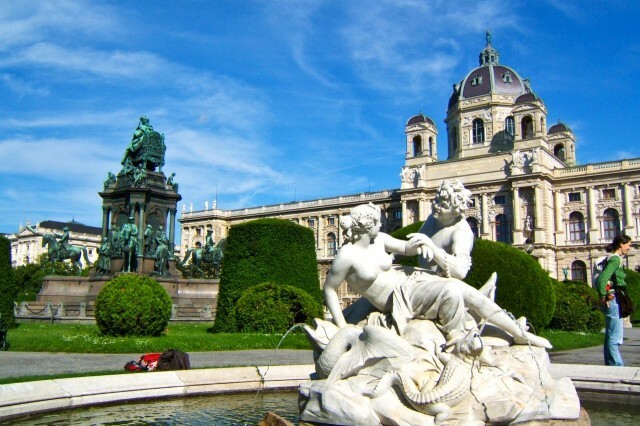 Pride of a museum are Peter Brueghel’s works Sr. – in Vienna the world’s largest collection of his cloths is exposed. Without considering pictures arts and crafts subjects, standards of the jeweller skill, belonging are presented by various Ayr, to the countries, the people. Let’s return to area ensemble. Its extensive place is decorated with emerald carpets of lawns and dark green spheres of professionally cut figured bushes. Between museum buildings, in the centre of the area, her "hostess" – Maria Tereziya rises. 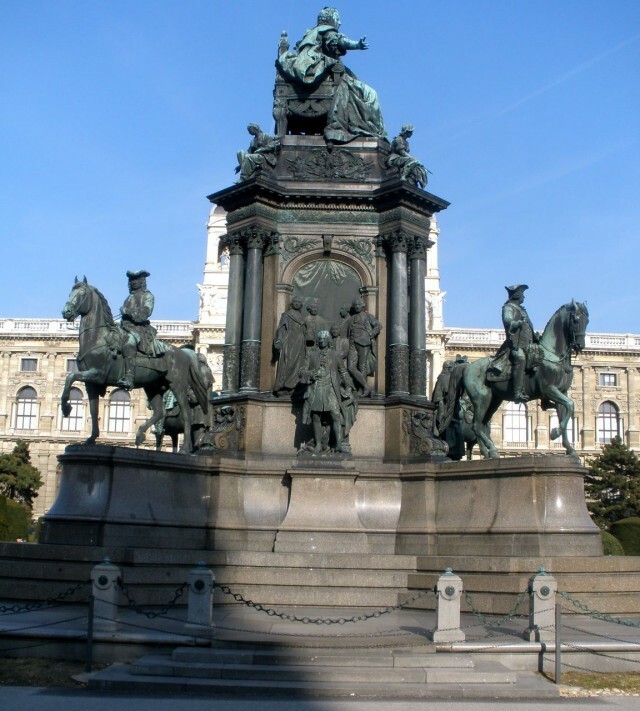 The excellent bronze composition of a monument is created by architect Charles Hazenauer. He has developed the general plan of a monument, and architect Caspar Tsimbush has modeled all sculptures. The empress sits on a pedestal throne of dvadtsatimetrovy height, in an environment of four figures symbolising her virtues: wisdom, force, compassion and justice. Round a throne four horse sculptures of eminent commanders are established: Ludwig Khevenkhuller, Leopold Dauna, Ernst Laudon and Otto Ferdinand. The pedestal has municipal figures and Maria Tereziya’s advisers. Work on a monument has been ended in the spring of 1888. Monumental composition have executed in 14 years.